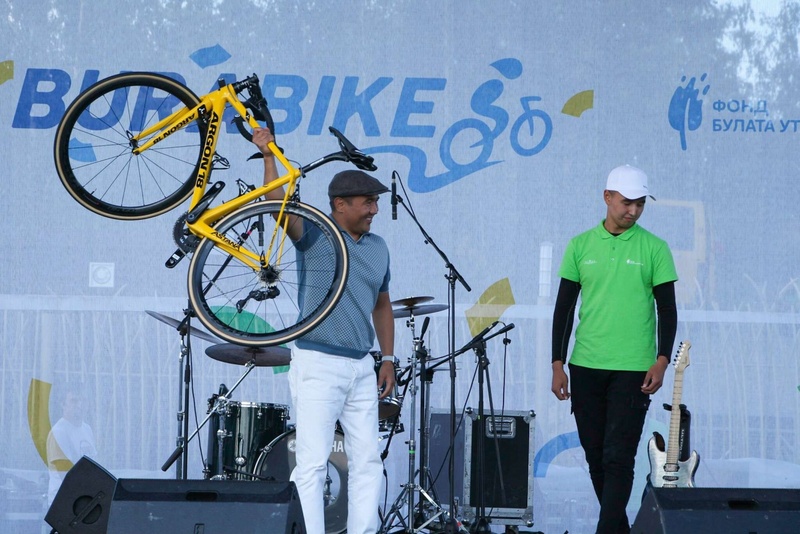 It is for the sixth running year now that Bulat Utemuratov’s Foundation has been actively participating in organisation of the Burabike annual charity sports and music festival and then spending the raised funds to purchase vitally important medical equipment and to give it to hospitals and clinics in regions of Kazakhstan. 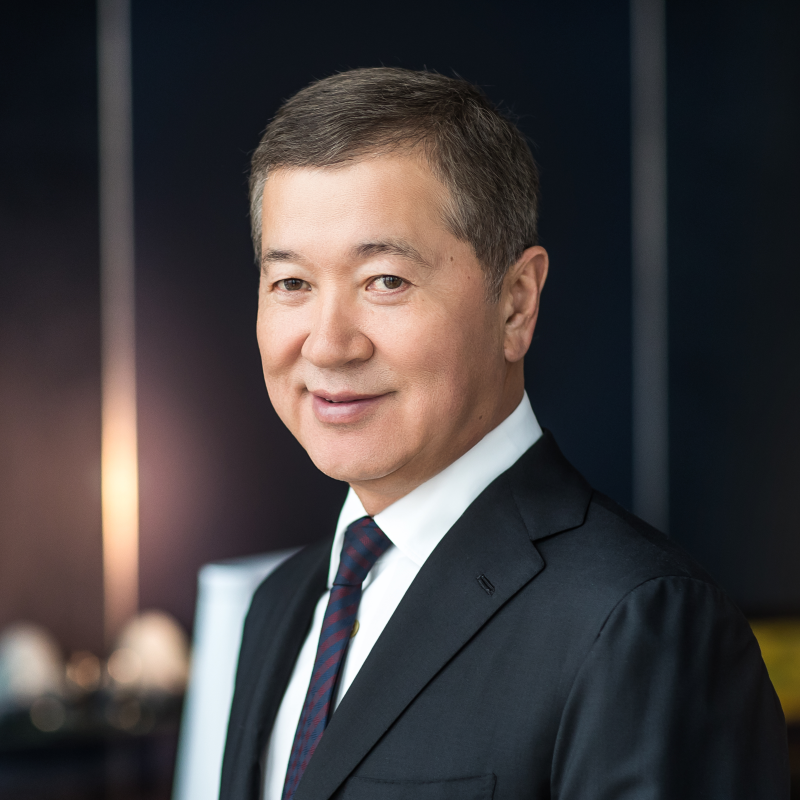 We talked to Foundation Director Marat Aitmagambetov to find out how and when charity recipients are chosen, how efficiency of assistance rendered is evaluated and what equipment they managed to supply to hospitals at the account of the record-setting 205 million tenge raised in 2018. How is the list of Burabike charity recipients formed? The list of charity recipients of the Burabike charity festival is formed every year before the event is held, so that during the festival the organisers already know what medical institutions they will give equipment to in the current year. Bulat Utemuratov’s Foundation receives letters from potential charity recipients, listing equipment required, throughout the year and makes a decision in spring or early summer, being based on several criteria: focus of medical assistance, availability of children’s, delivery, gynecological and perinatal departments, size of population and distance from an oblast centre. The list of equipment required is determined by a request from the hospital administration, needs of the medical institution and amount of funds raised due to the festival. The Foundation officials visit potential beneficiaries to make certain of the hospital needs. What hospitals have got equipment this year? According to the Foundation Director, Marat Aitmagambetov, historically, starting from the very first Burabike, charity recipients were mainly children’s medical institutions at the oblast level. 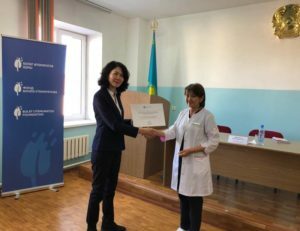 But in the course of time the management of the Foundation came to a conclusion that the government of Kazakhstan has initiated several programmes which promoted considerable improvements in facilities of the oblast level hospitals. This allowed the Foundation to go a level down and to focus on assistance to district and rural hospitals which were in much more need of modern vitally important equipment. “Kazakhstan is a vast country. An average Kazakhstani oblast comprises an area of several European states. Quite often inhabitants of our villages and districts have to go hundreds kilometres to get quality medical assistance. This might be complicated, especially if we talk about newborns or babies under one year of age, – many of them can’t be brought to oblast centres fast enough. Last year we decided to deliver to these central district and rural hospitals, and founder Bulat Utemuratov and the Board of Trustees supported this decision”, says Marat Aitmagambetov. What equipment did they receive? As Burabike participants and organisers wished, the focus was always placed on delivery of vitally important children’s equipment: artificial lung ventilation units, padded platforms, humidicribs, bedside monitors and other intensive care equipment. It was decided to stay on the same track in future too – at the district and rural levels. 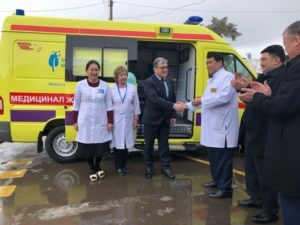 For example, in 2018 two hospitals – in Merke and Agadyr villages – received mobile intensive care units on basis of Mercedes-Benz Sprinter-315 cars priced at 42 million tenge. This is more than an ambulance car: mobile intensive care units are equipped with modern high efficiency instrumentation, including defibrillator, artificial lung ventilation unit and many other medical appliances which allow to support the patient’s life for quite a long period of time. These mobile intensive care units will be used to go to remote areas to take a patient in a serious condition and to bring him to a rural or another hospital having a possibility to render assistance on the way in case of life threatening and to save the life. In addition to mobile intensive care units, Burabike-2018 beneficiaries also received equipment for intensive care and life support for newborns and parturient women. For example, the Merke Hospital got an open intensive care system for newborns, with Infa Warmer i 103 monitor made by Atom Medical Corporation (Japan), and a nasal breathing system for newborns; Timiryazevo Hospital – an artificial lung ventilation apparatus Bellavista 1000 Е (Switzerland) for premature newborns; Zharkent Maternity Home – an anesthetic breathing apparatus Genesis, of Hersill, S.L. make (Spain), and Agadyr Village Hospital – a fetal monitor Fetus BFM-900 (Korea) for determination of intrauterine fetus condition during pregnancy and delivery. This is not the entire list of equipment delivered at the account of funds raised at Burabike-2018. There were also high tech apparatuses for examination and diagnosis, surgery kits, syringe dosing devices, padded platforms and a lot more delivered. First reports from head doctors of these hospitals will be made after six months of equipment operation – this is a compulsory requirement of the Foundation for making decisions on beneficiaries. The Foundation management happily shares the stories of beneficiaries of previous years. “In 2016 we supplied two humidicribs to the Kzylorda Oblast Hospital which covers 7 districts”, tells Marat Aitmagambetov. “Humidicrib is a closed system of life support which is used mainly for the developmental care of premature newborns in serious conditions. Each of humidicribs cost about 30 million tenge. In the estimation of our charity recipients, these humidicribs allowed to reduce the newborn death rate in those seven districts two-fold”. In 2013, when Burabike was organised for the first time, all funds raised – and that was 11.5 million tenge – were used to purchase equipment for the children’s intensive care department of the Kokshetau Oblast Perinatal Centre. 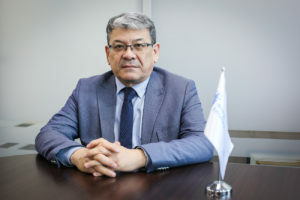 In 2019 Bulat Utemuratov’s Foundation continues getting comments and reports from the Centre. According to Yulia Ivaschenko, Head of the Children’s Intensive Care Department, an average of 238 babies are born in the Oblast Perinatal Centre annually, out of whom 75% are premature. They need therapy, ancillary support, non-invasive lung ventilation etc. Before the Centre received the equipment, only 10-12% of babies survived; the equipment made it possible for 67% of newborns with the extremely low weight (from 500 grams to 1 kg) to survive in 2017-2018. Thanks to the new equipment, from 2015 the Perinatal Centre can admit babies in serious conditions from all districts of the Oblast. Last year an X-ray diagnostic system was transferred to the Petropavlovsk Children’s Oblast Hospital: ”This is the first such digital apparatus here in Petropavlovsk. We are especially thankful as this apparatus is installed in the children’s multi-profile hospital. This equipment allows for the fast and quality diagnostics of children, with less radiation exposure. It is safe for a child. We have dreamt of such an equipment for a long while. If with the old machine we waited for 30-40 minutes for the picture to develop, now it takes just seconds. We get quality pictures. And this apparatus also makes it possible to do a complete X-ray scanning, for example of the entire vertebral column. From January 2018 we have examined 3,303 children and carried out check studies for 6,600 children of 0-18 years of age. Of all our patients, 38% are from rural areas”, told Lazzat Iskakova, Head of the X-Ray Diagnostics Department. A very kind-hearted story happened in the Akmola Oblast Children’s Hospital too. In 2016, the Charity Tour de Burabay (as the fourth Burabike was called) raised over 100 million tenge – 47.7 million tenge were used to re-equip and repair the gas supply system of the Akmola Oblast Children’s Hospital, and the rest of the money – to support a Central District Hospital in the Kzylorda Oblast. According to Head Doctor Yelena Ivanova, who worked in the Intensive Care Department at the moment of the equipment delivery, after gas supply was fixed in the hospital, all employees “breathed a sigh of relief”. The old supply system was so noisy that continuous presence in the department was unbearable for both doctors and patients – especially for newborns of 0-28 days old who needed complete rest. Now it became more comfortable to work and to get medical assistance, and installation of medical equipment allowed to continuously monitor patients in the real-time mode. Dosing devices which automatically supply the required medicines in prescribed quantities considerably improved the quality of medical assistance rendered to little patients. Marat Aitmagambetov noted that the Foundation staff strives to transfer equipment as publicly and transparently as possible: they invite local authorities and journalists, not only for the charity festival participants and philanthropists to see their contribution to the good history of Burabike but also to raise awareness among clinics and hospitals all over the country about the opportunity to get the needed modern medical equipment, and to attract attention of local administrations to the needs of medical institutions. “It is quite often revealed that local authorities not always know what this hospital is in need of. We have examples when we delivered some medical equipment and following that funds were allocated out of the state budget for purchase of another type of equipment. The procedure of transfer itself serves as an impetus for local authorities, attracts attention to the medical institution, and is a message for other hospitals that support can also come through Bulat Utemuratov’s Foundation in later years”, shares Aitmagambetov. Registration for sports and music festival Burabike-2019 is already open on https://burabike.kz/ website.